The Cappuccino ballpoint pen features a striking metallic finish and no-slip rubber comfort grip, for maximum user comfort. 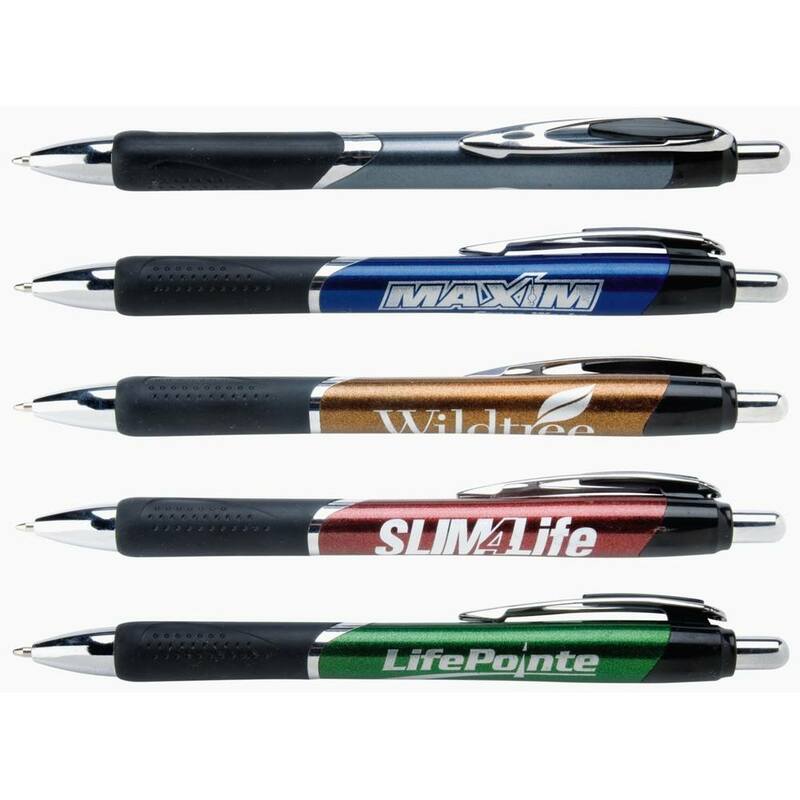 Imprint Area: 1-3/8" x 1/2"
The Hub Cappuccino Retractable Ballpoint Pen's bold warm colors with its metallic finish and bright chrome and pitch black accents will superbly complement your logo printed on its median. The speckled finish makes this pen stand out in the crowd. The Hub Cappuccino Retractable Ballpoint Pen comes with no-nonsense features like an ultra smooth flowing ink cartridge and a no-slip textured rubber grip for that delightful writing experience.